110 Creations: Sewing Indie Month: vote for me! 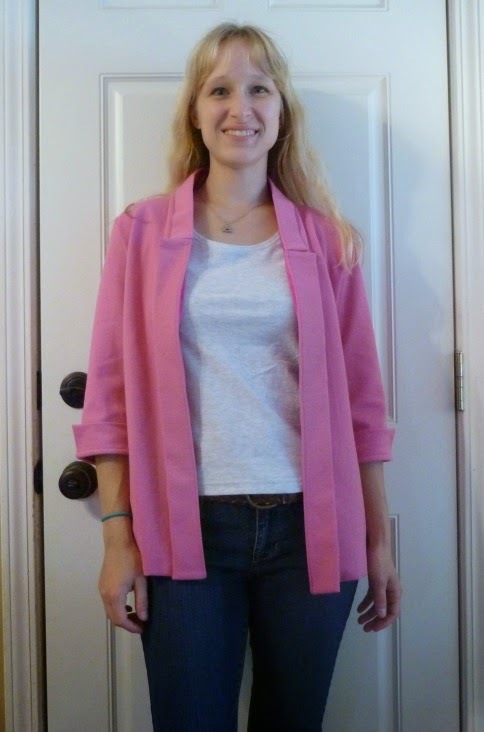 Last week I posted my entries for the Sewing Indie Month contest, in the Everyday Casual category. This was the category with the most entries, and so the ladies behind the contest decided to do two rounds of voting. A shortlist of entries was created by the pattern companies, and now voting is open to everyone else. And wouldn't you know it, my entries made it to the short list! Hooray! You can go HERE to vote for your favorite look (click on the heart in the top-right corner of the photo to vote). Voting ends Friday. If mine is your favorite, then I would sincerely appreciate your vote! I'm thrilled and humbled to have been included on the short list, out of 50+ entries. I think I'll wear this outfit today to celebrate! Another random note: free shipping on A Sewist's Notebook ends tonight at midnight eastern time. Go here to order, and use code: JS614. Yours are my favorites, and I voted accordingly. How exciting to make the short list!